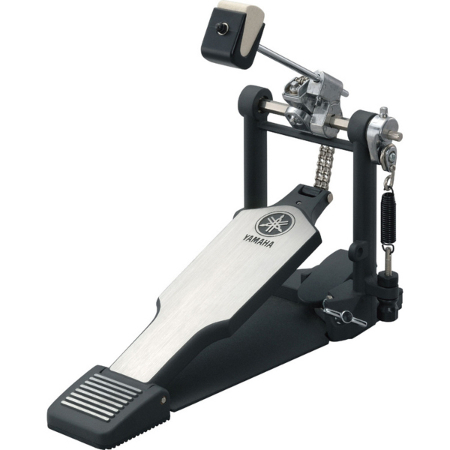 The Yamaha FP9500 Chain Drive Single Pedal is a High Quality single bass drum pedal from Yamaha featuring a double chain drive system and a design that is simple yet suitable for a range of different styles and genres. With new spring tension adjuster and self locking system, simple beater adjustments and footboard adjustments this pedal can be customized to your personal drumming needs to provide optimal performance. Everything can be simply and easily adjusted by using the drum key which makes this pedal ideal for travelling/Gigging drummers alike. It also comes equipped with a light yet protective carry case which will ensure that your pedal stays safe while it is in transit.